With Tunisia and Libya now going over to Sharia law, Egypt heading that way, and other regimes becoming more destabilized in the Middle East, one wonders how the U.S. State Department and White House could be so naïve. Of course, we helped arm and train the Taliban a generation ago, against the Soviets, so nothing should surprise us. I well remember cheering-on the rag-tag Taliban against the great Red Threat. One of the effects of the “Arab Spring” is the surely near-fulfillment of Ezekiel 38-39. North Africa is now wholly in the hands of Muslim terrorists. By the way, no one talks about it, but the odds are not good that an Iraq minus the American Army will be anything but a menace to Israel. Despite all this (or maybe because of it), Bibi Netanyahu is surging in the polls in Israel. His countrymen trust him to do everything possible to keep Israel safe. In the West, though (ironically), dangers gather for the Jewish state. This is mostly in the form of media, Christian and leftist (mainstream). Wow! This group is linked to Warren’s PEACE plan and they insist that genocide is going on in “Palestine.” This leftist, false view of reality in Israel is diabolical. ”Palestine” as in, the state of Palestine, does not exist. Because the Palestinians have been given autonomous blocks of land in the West Bank, leftists in the American Church thirst to set foot in “Palestine.” They are calling into existence that which does not exist. It is a political name intended to further de-legitimize Israel. The charge of “genocide,” meaning that Israel is murdering Arabs within its own borders, is a damnable lie. It is the ultimate in bearing false witness, and God will judge it. The Israelis have never practiced genocide, but of course have been forced to defend themselves every second of every day for 63 years. Genocide has been committed by Muslims in Sudan, and by Marxist terrorists in Columbia, but while the Arabs would love to practice genocide against the Jews in Israel, to allege the reverse is false and unacceptable. Twice I have emailed Warren’s site, but have not received an answer as to why they have linked to the Laguna Beach group. This loathsome stance by Warren himself - his name attached is an endorsement - is unacceptable and will not go unchallenged. Warren insulates himself behind a frontline staff at Saddleback, and then by extension, through his vast network of acolytes. He has been tweeting furiously lately about “critics” and his protégés like Steven Furtick and Perry Noble have done likewise. Evidently, the evangelical pope and his cardinals are hearing not only from critics but from confused parishioners who are wondering just what it is Warren really advocates. Do you understand that Rick Warren himself, because he has attached his name to this “peace plan” and subsequent left-wing subgroups like the Laguna Beach gang, is charging Israel with genocide? Genocide? That is sick and unacceptable. Here is what I’m asking you to do. Monday morning at 9 a.m. Pacific, I will be phoning Saddleback Church to ask about Rick Warren’s endorsement of “Never Again, For Anyone. Stop Genocide.” The number to the main Saddleback “campus” in Lake Forest, California, is 949-609-8000. The email is info@saddleback.com. 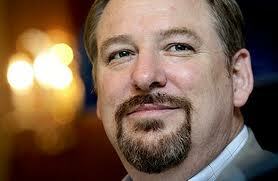 Join me in inquiring about Rick Warren’s involvement with this group. I will be writing about this extensively until we all receive an answer from “Pastor Rick.” We already know from his involvement with Fuller Seminary, his view in The Purpose-Driven Life that the study of prophecy is a waste of time (page 286), and his chummy meeting with Bashar Assad that he’s no friend of Israel. I am going to ask of Pastor Rick if he can document alleged Israeli genocide of Palestinians. This must be what the Laguna Beach gang is referring to. I won’t be surprised to hear the spin from this. Maybe they are referring to genocide of mountain goats, or fire ants. But if the obvious inference is what they mean - Israeli is guilty of genocide - then Rick Warren needs to explain that.